I’m still getting used to the cooking styles and tastes that come from the Southern States. Most things I have loved but some things have just blown my mind because I just never seen them before. When this Lighten Up, Y’all cookbook by Virginia Wells became available for review on Blogging For Books, I snapped it up quickly! Virginia Wells shares her favourite recipes to show off those Southern flavours. She takes the classics and ensures that they are healthy but wholesome. 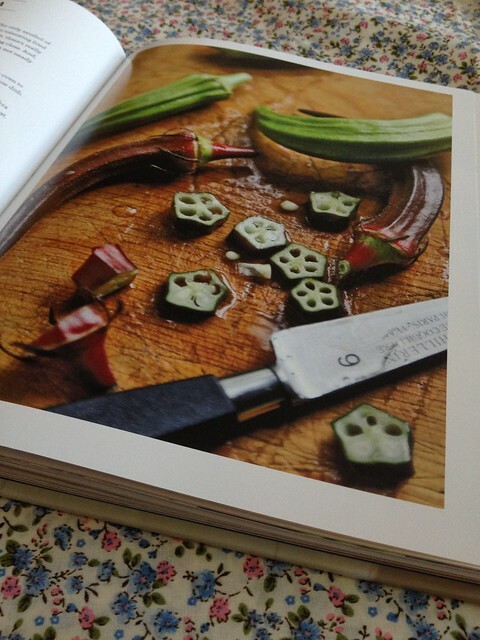 To be honest… every recipe in this book appeals to me! The book starts with a really motivating foreword from Virginia, and then moves on to talking through essential tools and tips for Southern cooking. In addition to the healthy tasty recipes in the book, Virginia gives us ten tips for lightening things up generally; things that I tend to forget about but know that I need to remember, like eating early, drinking water & eating the correct amount. As with most cook books, recipes are sorted according to dishes and ingredients. The ‘Starters & Nibbles’ chapter has many delicious snacks that could be eaten as starters or just as an in-between meal snack. My mouth watered the most at this Sinless Seven Layer Dip with Delicata Squash Chips 🙂 Yum Yum! I’m not sure if my layers would ever look as neat as those pictured though! 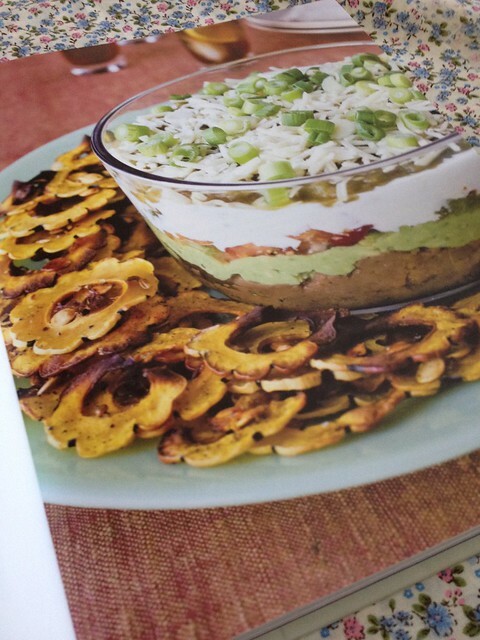 One of the things that I found strange when I came to Alabama was the popularity of vegetable casseroles. I have only ever eaten meaty casseroles that come with dumplings or yorkshire puddings! Vegetable casseroles in the South are more what I would call a bake…even though I have never really eaten a vegetable bake either, apart from cauliflower cheese with breadcrumbs on the top. Over here….ALL vegetables are made into casseroles! At Thanksgiving, I even ate a sweet potato casserole that was topped with marshmallows 😀 A vegetable that I have come to adore is Okra… I have had these fried and in a casserole. They have a similar taste to taste to green beans. Again, very yummy! If you’re looking for something that encompasses wholesome Southern cooking, honestly won’t need to look any further than this book. The recipes, the photography & the humour is spot on, so be on the look out for some tasty Southern recipes being shared over the next few weeks! Oh yes! Broccoli casserole please. And my grandma’s sweet potato casserole is to die for! And we fry them too. If it’s a veggie, it can be fried. Please tell me you’ve had fried green tomatoes? I love most of the casseroles to be honest but don’t get to try many at home because Adam only likes carrots and peas! I have seen fried green tomatoes on menus but advent tried them yet….what are they similar too? This sounds good! When I lived in Florida, I could never get used to all the butter and cream and cheese and battering and frying that Southerners inflict on those poor vegetables. Such wonderful produce there–it just doesn’t need all that stuff! Ha I know exactly what you mean! Us Brits…well me anyway…are just used to boiling vegetables! This looks like a really good cookbook. I would enjoy using this book a lot. I am not big on Southern food and I live in SC! I should be more knowledgable on this topic. 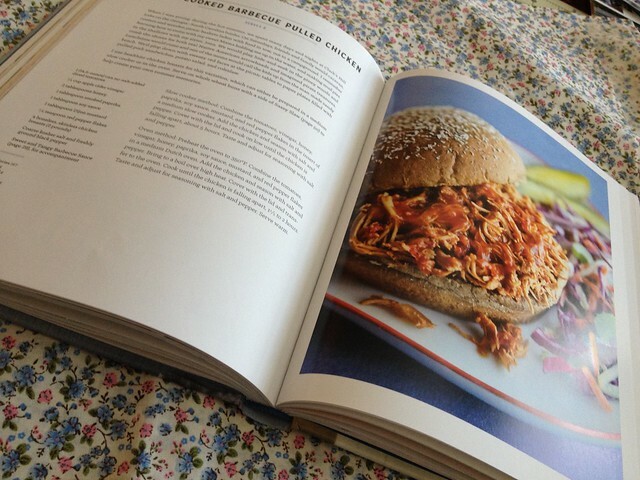 It has loads of great recipes in…ones that I will actually use too! I bet. Thank you again. Pingback: Talented Tuesday Link Party #19 - Cook. Craft. Love. Thanks for sharing information about the Lighten Up Y’all cookbook. It looks like there are some great recipes inside.